A pub landlord in Lincolnshire has risked his life by taking on two armed robbers that broke into his premises. Mark Coleman runs The Nag's Head pub in Laceby. Last week (26 October), two men wearing balaclavas and purportedly carrying knives broke into the pub during the early hours of the morning but the landlord confronted the men and eventually forced them to flee the premises. Landlords, along with other small business owners, should not need to put their life at risk to take on criminals. Business insurance is available to provide cover for small businesses, including their premises and the stock stored inside it, just in case thieves attempt to break-in and steal any items - pub owners just need to make sure they have suitable landlords' insurance. 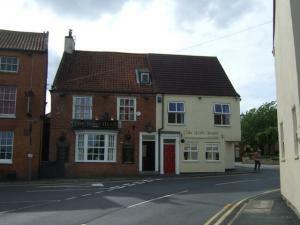 According to the Grimsby Telegraph, the robbers forced their way into the pub through the back door at around 2.30am. Having been woken by the sound of people in the pub downstairs, the landlord says he moved onto the stairs and shouted at the men, which caused one of the men flee to the back door while he, Mr Coleman, wrestled the other to ground. The 43-year-old told the local paper: "There was clearly no honour among the thieves, as the other one scarpered straight away. "The other one must have got lost and was beside the glass-washer when I spotted him. I shouted at him that he had made a big mistake breaking into my pub." Mr Coleman says the pair ran away without as much as a teabag but he acknowledges that it was dangerous to confront the criminals rather than calling the police. "It must have been adrenaline," he said.